A professional asset for the management of your products! 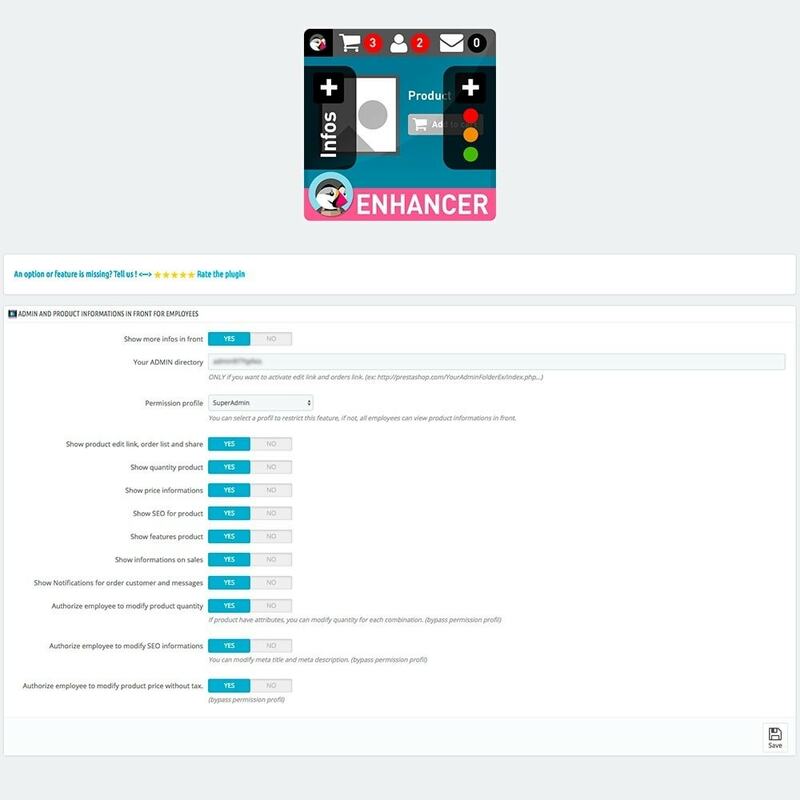 This module allows you to view and edit the back office informations directly in front office. Notifications of new orders, customers, messages and more. That you're used to navigate your store front office, find the management information essential to not leave! Available information such as product informations, price, quantity (combinations support), SEO and stats help you at any time to edit your products to correct them. You can modify price, quantity, SEO and descriptions, saving time ahead! This module is compatible with multi-shop. 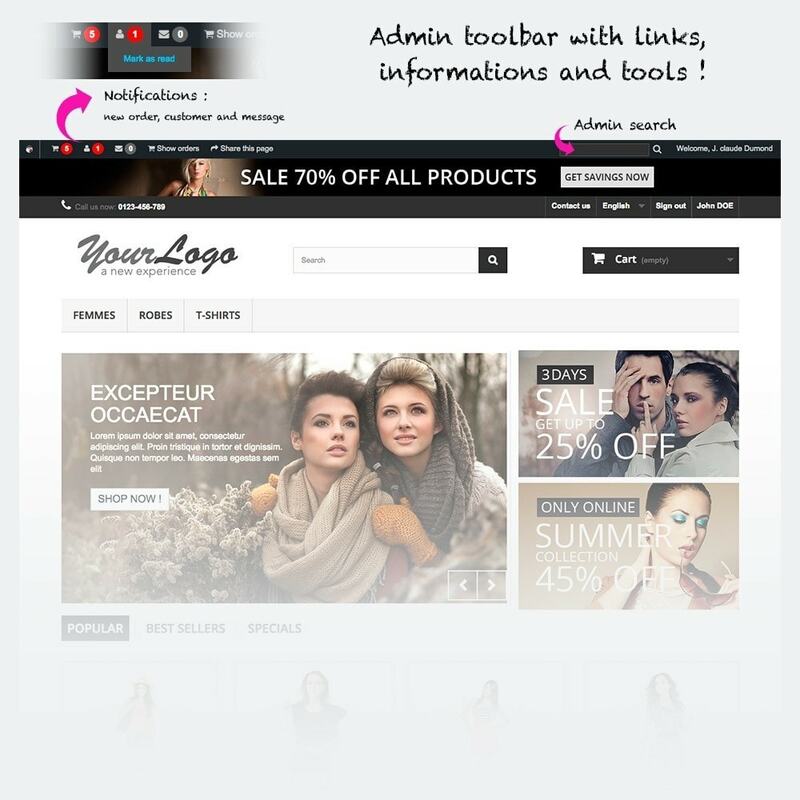 Toolbar administration with information, tools and links. Side panels on the product pages with information and publishing link. 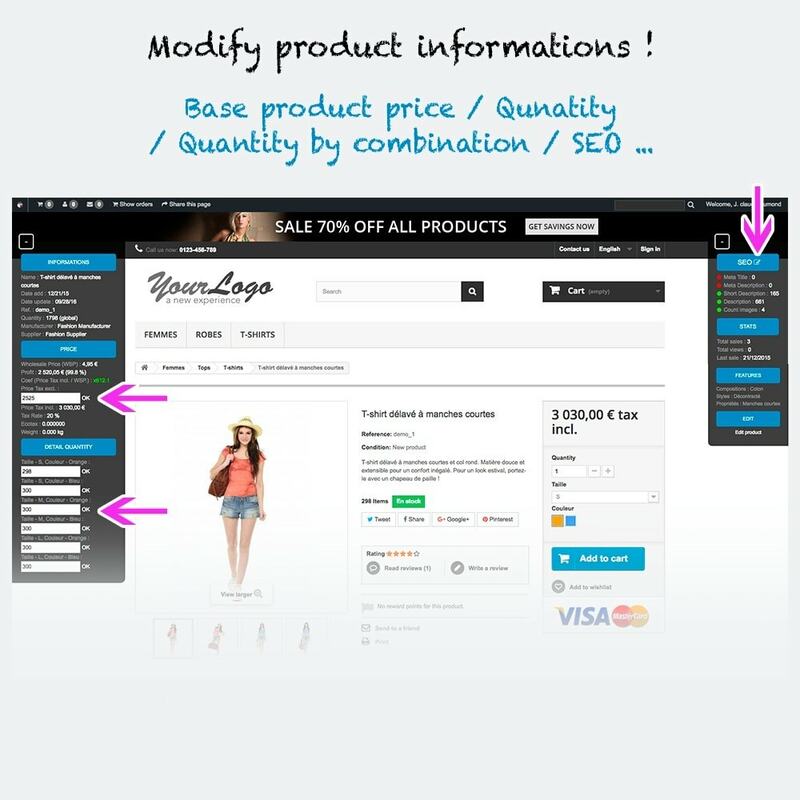 Modify product informations : quantity for product and combination. Modify product informations : impact price by combination. 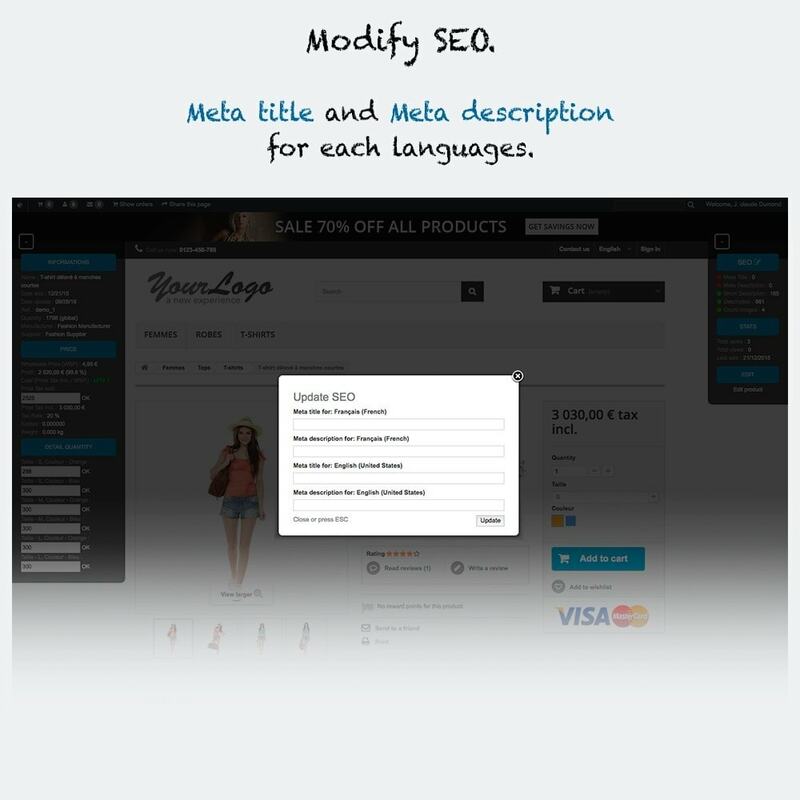 Modify product informations : description (with character limit) and full description. Modify category informations : full description. Ability to restrict the display of information based on the employee profile.